This week’s blog post comes to you from Emma! Two weeks living in the van and we’re getting into a good routine, figuring out how to best keep things organized and comfortable. I’ve especially liked the challenge of making delicious, healthy, and varied meals with a limited kitchen and no refrigeration. So far we’ve made fried noodles, pasta, stir fry, soup, gnocchi, apple crisp, breakfast burritos, ramen, and quesadillas. 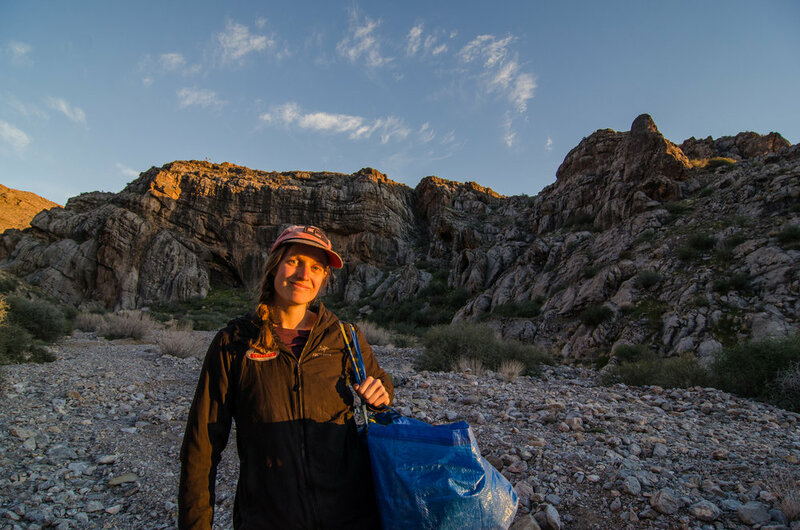 No temperature control in the van means only being able to buy a few perishables at a time, and always having a plan for using them up quickly. We also haven’t been eating meat except for the occasional salami treat at lunch. 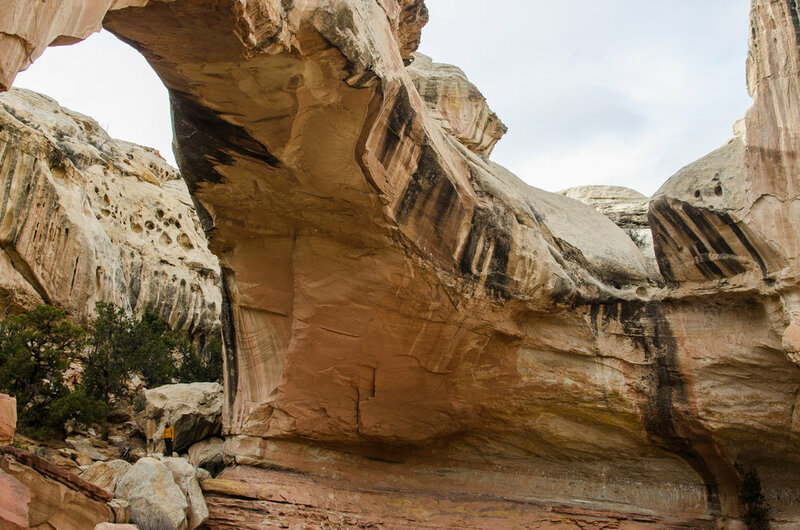 After leaving the amazing Blanding visitor centre, we made our way on an incredible drive through Capitol Reef National Park and Grand Staircase-Escalante National Monument, stopping at the viewpoints and some short hikes along the way. It had been about day ten of nothing but a few attempts of splashing a bit of water on ourselves, when a very kind stranger we had been talking to offered up his hotel for us to take a shower. 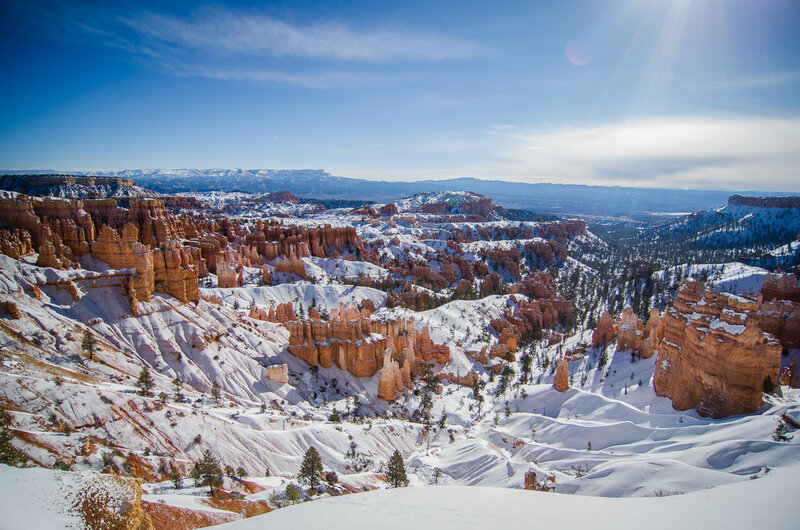 Feeling fresh, we made our way to Bryce Canyon National Park in sub zero and whiteout conditions. We decided to escape the elements for the afternoon and hung out at a hotel pool. Because of all the snow, we were very limited in what was open at Bryce, so we did a short hike to check out some incredible hoodoos, then moved on to Zion National Park. 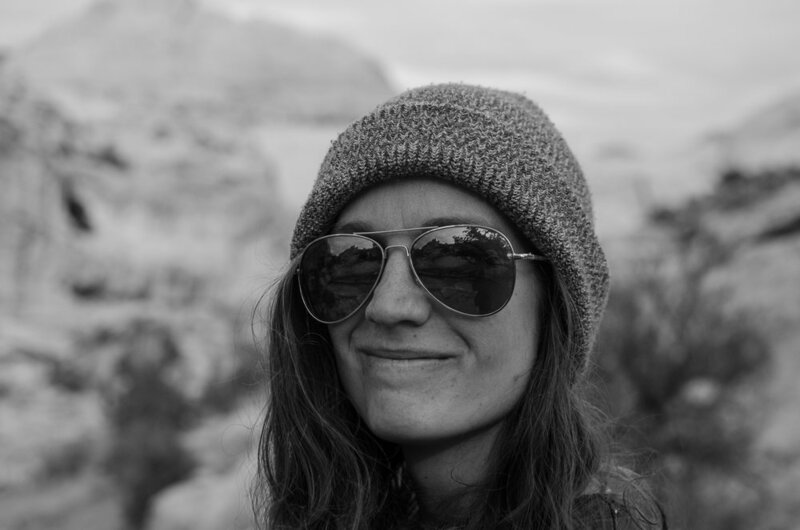 The insanity of Angel’s Landing…. Wayyyyy too many people. It’s amazing what a bit of elevation can do- going from a metre of snow to t-shirt weather in just a few hours! Zion was somewhat of a “Disney World” of national parks. People everywhere, difficult to find parking, but also incredible sights. We were itching to do a climb here, but the delicate sandstone needed more time to dry. Instead we went for the infamous Angels Landing hike. Like everything else in the park it was busy, but also very beautiful. Dozens of paved switchbacks lead you to a ridge with some scary exposure. The hike itself was not difficult, but the sheer drop offs on either side really spooked me. Next was St George- the city know for it’s retirees and excellent climbing. 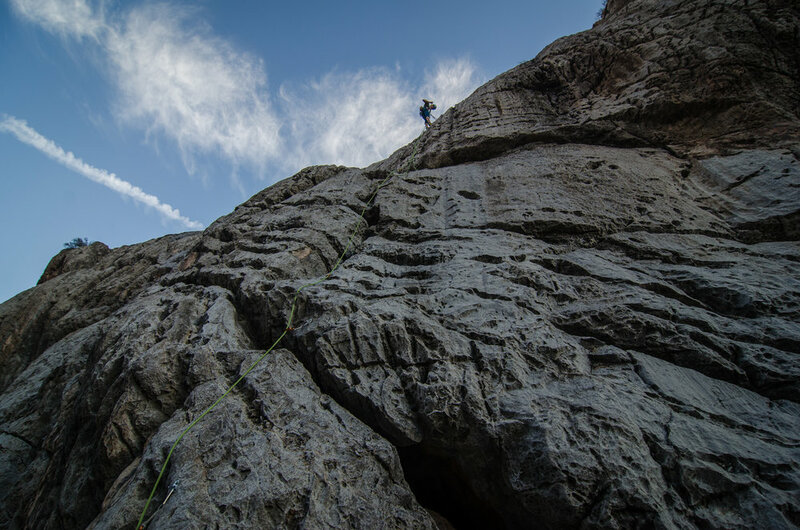 Here, we were finally blessed with warm temperatures and dry weather fit for climbing. The type of rock here was so varied- from smooth sandstone pockets, to sharp crimpy holds, to even sharper cheese grater from hell rock. We also spent a day at Snow Canyon State Park and did the Island in the Sky Traverse. Lots of low fifth class scrambling, with a few 5.6 moves and some rappelling on the way down. Over the three mile adventure, we had a bit of a difficult time route finding, especially the belay stations which were painted to match the colour of the rock. With cut up hands, blisters, and sore bodies, we ventured to vegas for a rest day. What a strange place. Just walking around the strip was excitement enough for these two bush kids. Of course we went to an all you can eat/drink buffet and made ourselves feel incredibly ill. Now we have $10 left so we’re off to the hotel’s casino… And then Red Rocks for some more climbing! PS Olivier here. You’ll be please to know that we won 5$ at the blackjack table on our first hand, and promptly cashed out. Vegas: 0, Olivier + Emma: 5$. A real big, angry bag of poop. Approx. 4lbs. 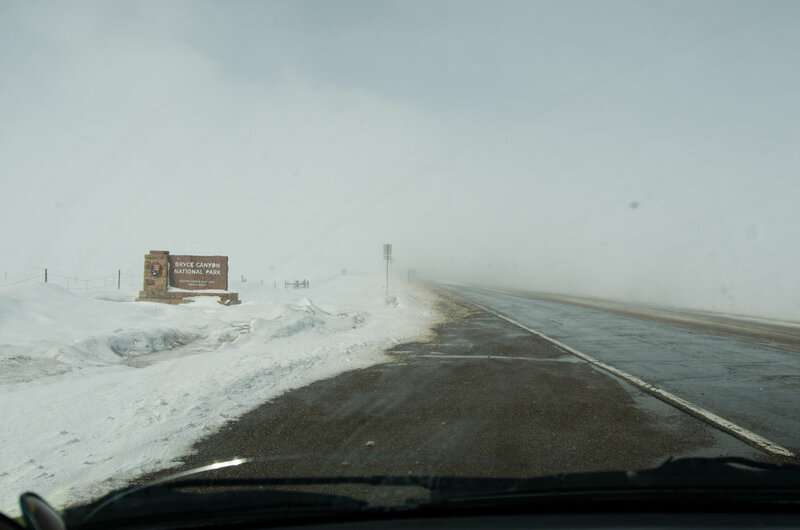 Entering Bryce canyon brought 100km/h winds and zero visibility. Scary driving.